Get the most out of your time in Mallorca by spending a day in the great outdoors. You won’t have to worry about bringing any gear with you, as you’ll be provided with a bicycle, and you’ll choose from a kayak or a stand-up paddleboard. Travel with ease between Can Pastilla and Palma with a guide to navigate so you don’t get lost. 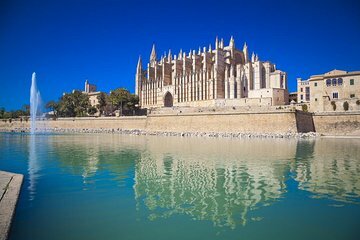 You’ll see many of Palma’s top sites including the Cathedral, and Santa Catalina Market. After a bike tour, you’ll enjoy an exciting watersports experience.